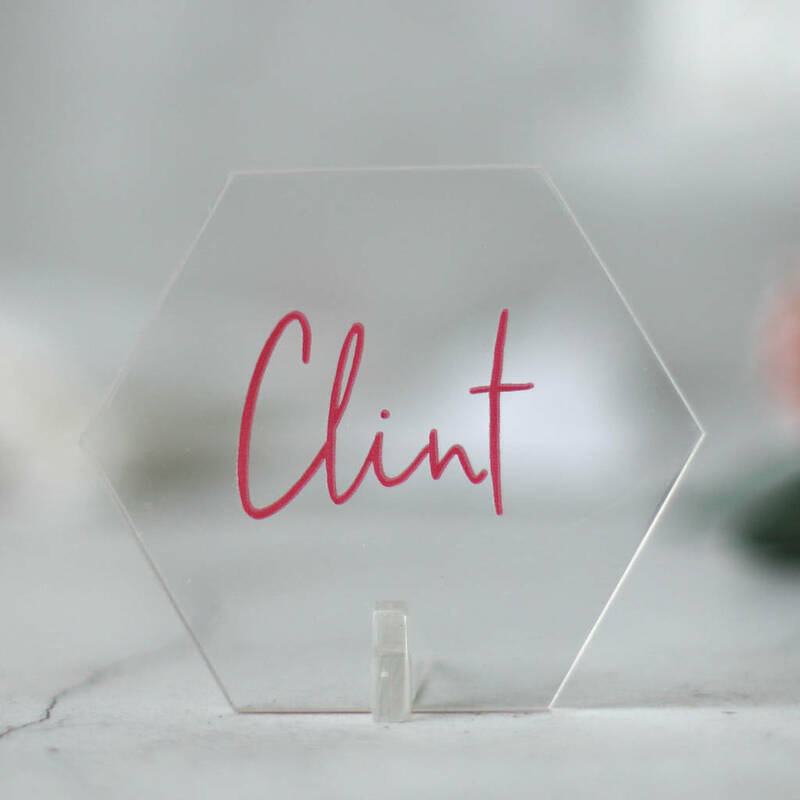 Help guests find their seat in style with our engraved clear acrylic place settings. 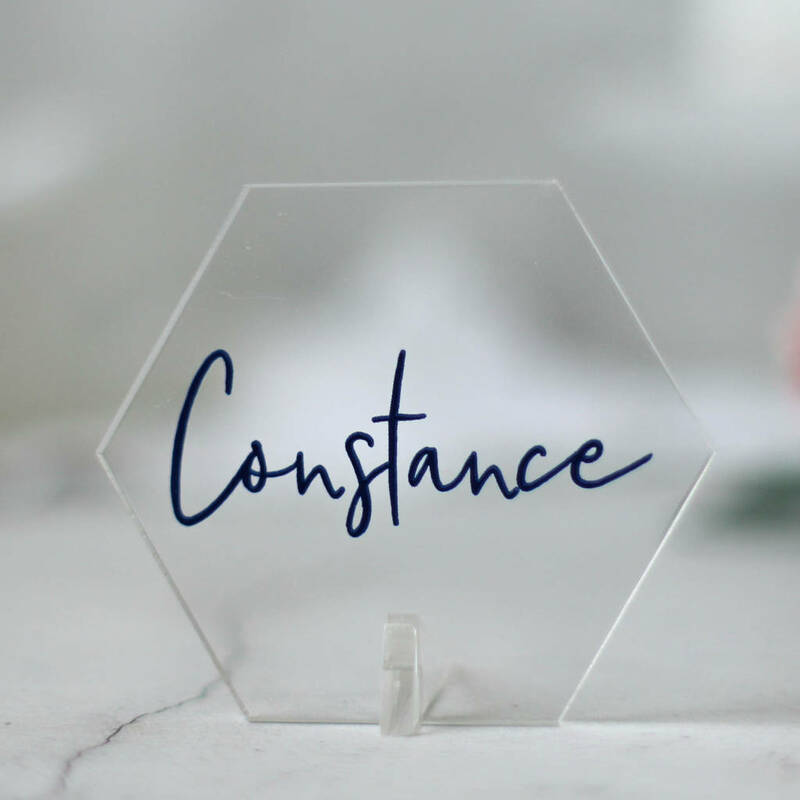 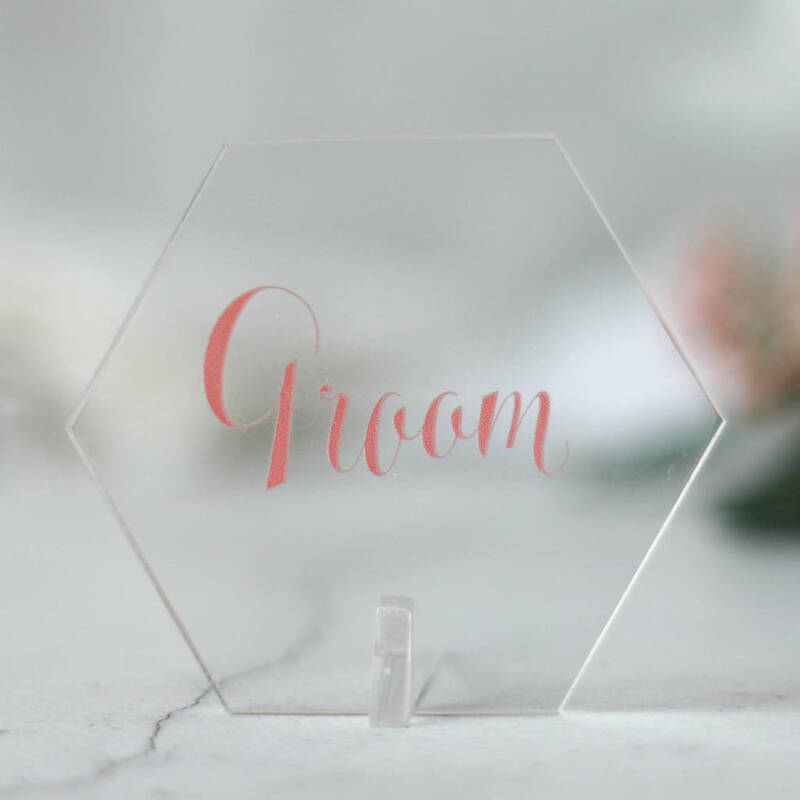 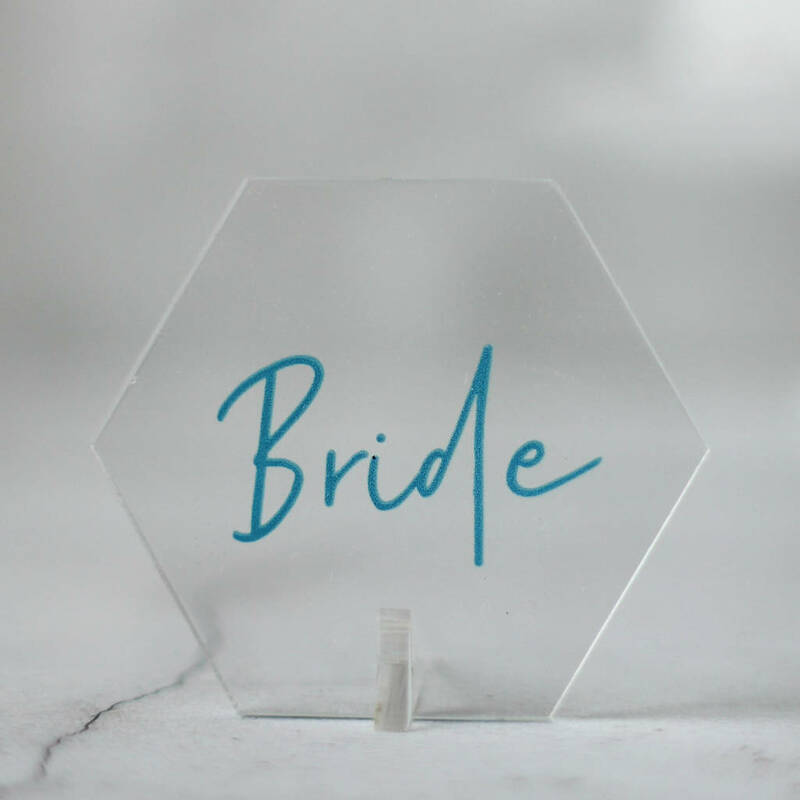 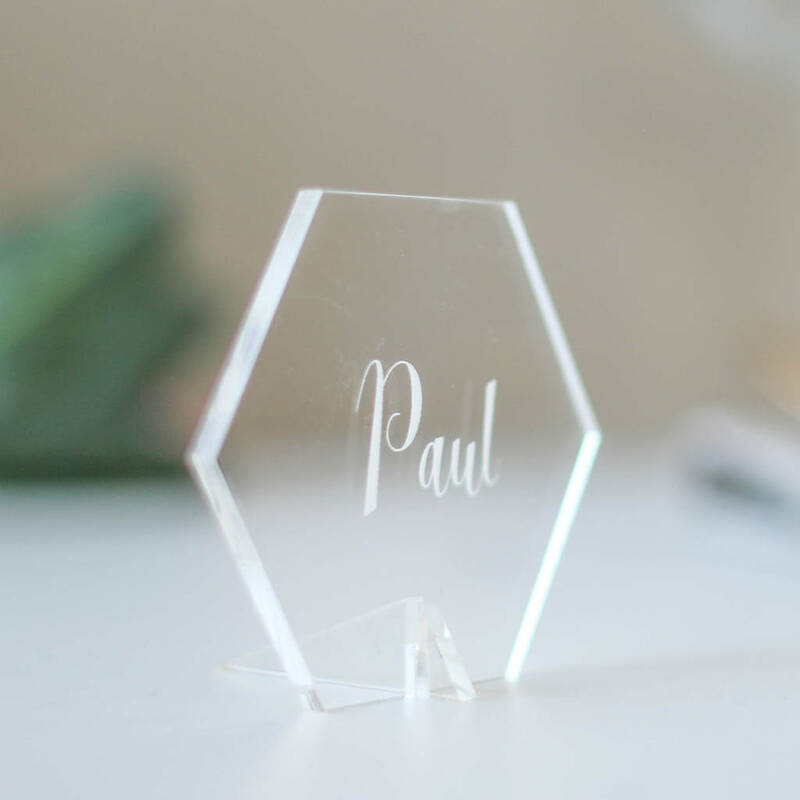 Made from solid cast acrylic, each small hexagonal place setting will be expertly engraved with your guests name (if you choose white, all other colours will be printed). These eye catching hexagonal table numbers are perfect for any wedding, party or event. 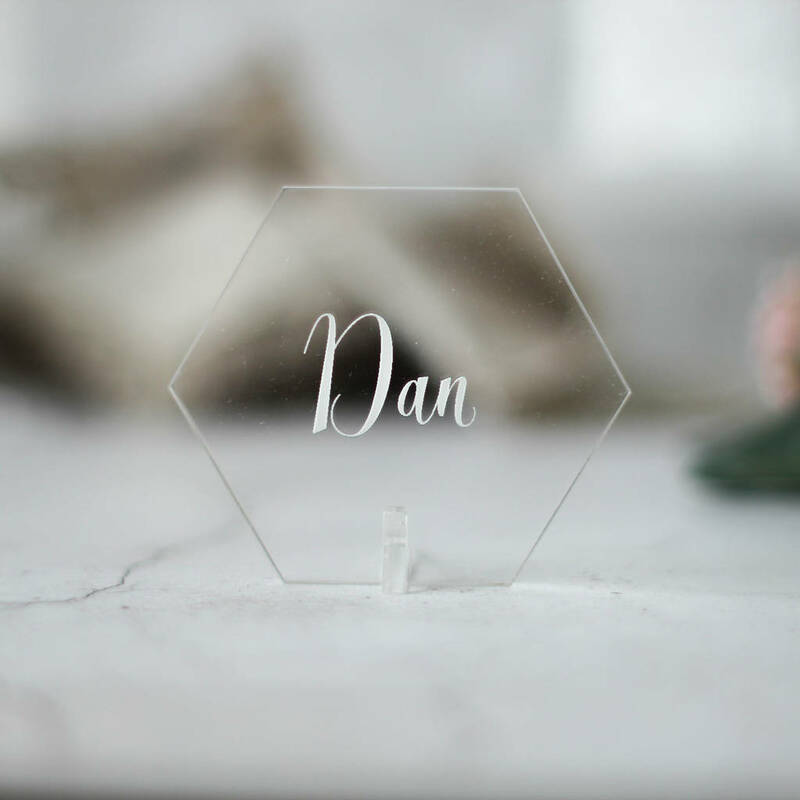 Designed to match and complement our table numbers and cake toppers. 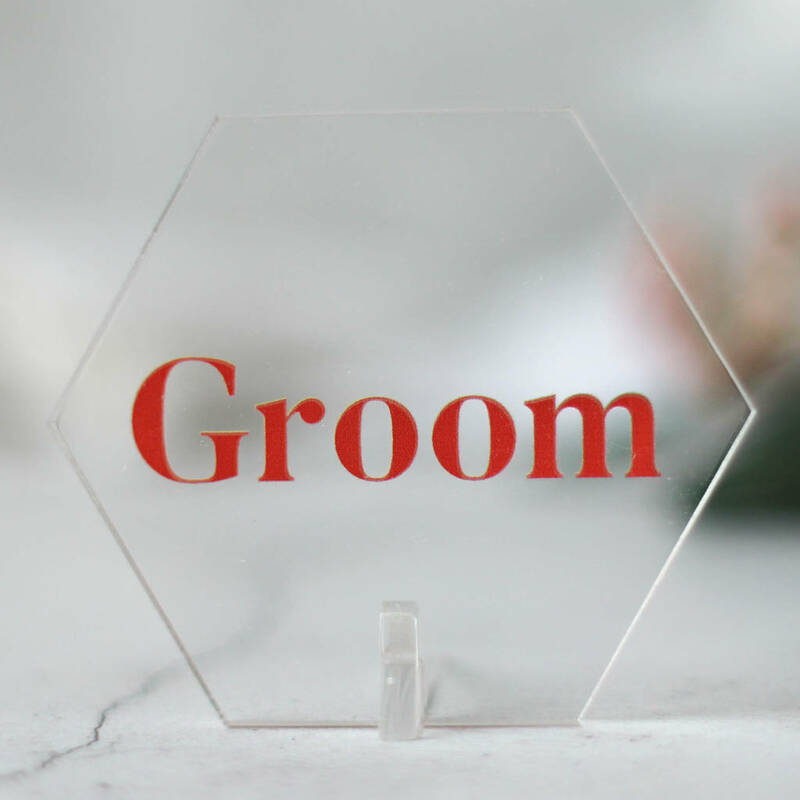 We offer a choice of four fonts but if you have another in mind just let us know. 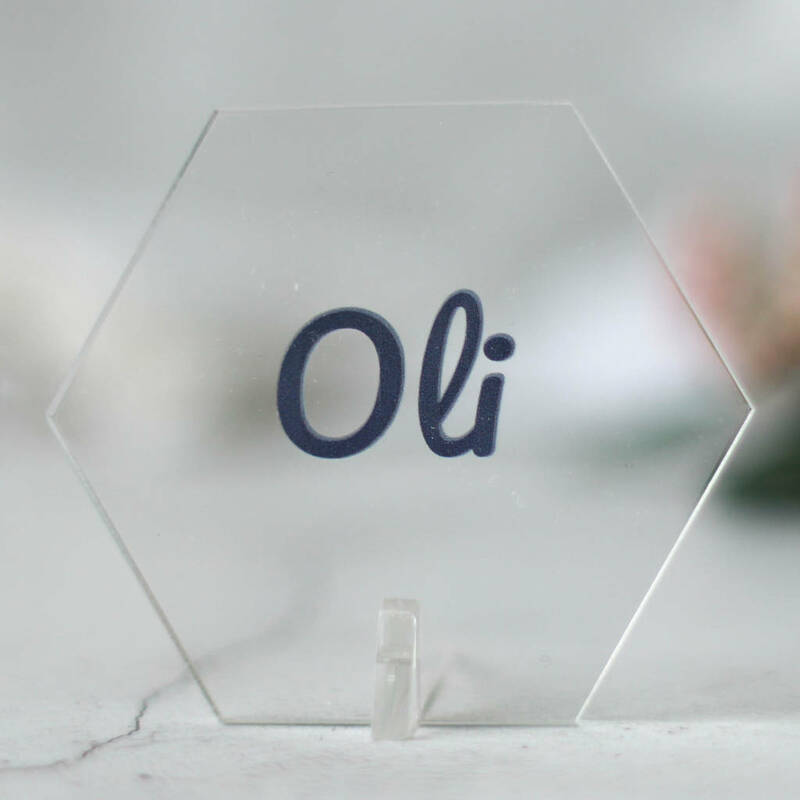 Place numbers will arrive flat packed, just slot the little feet into the base. 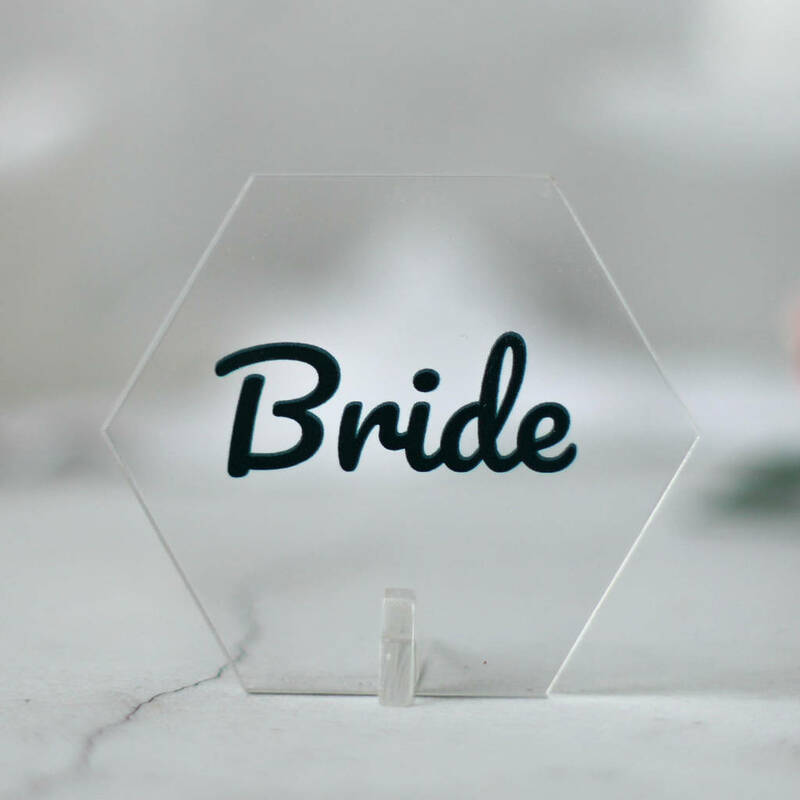 For matching table names or numbers and cake toppers please put 791664 in the search bar or check our storefront to see all our products. 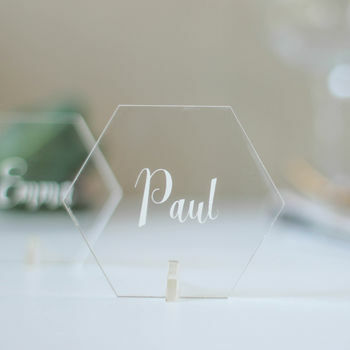 Just let us know which colour you would like and we'll help you match the place settings to your theme. 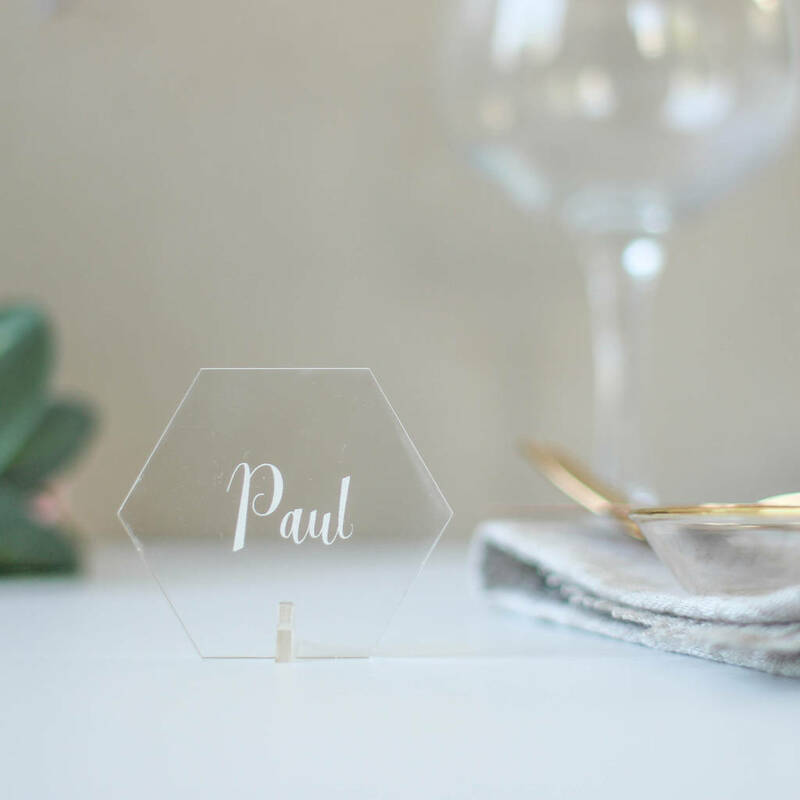 Please note we are unable to offer metallic colours such as gold and silver.